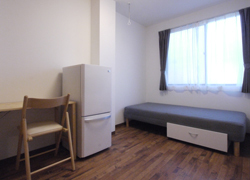 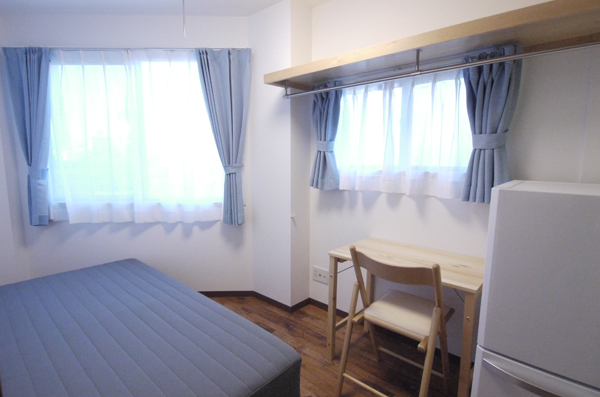 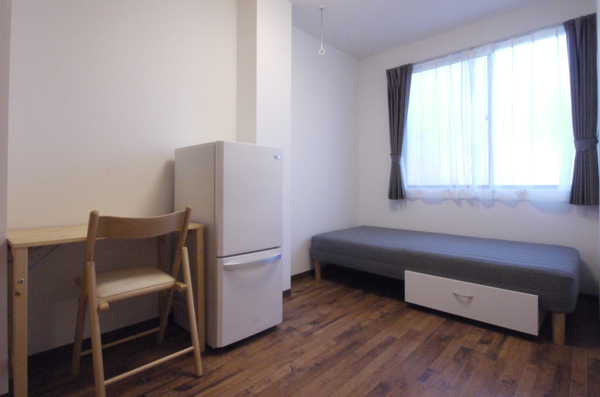 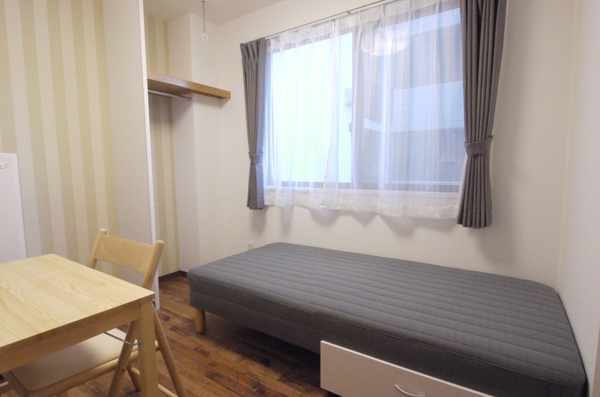 9 minutes walk from Kinshicho Station. You can use 4 lines including JR, Tokyo Metro and Toei. 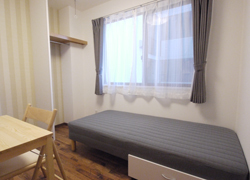 It is 9 minutes on foot from Kinshicho Station (You can use 4 lines including JR, Tokyo Metro and Toei). 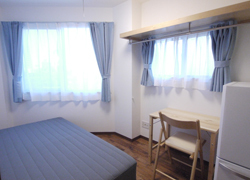 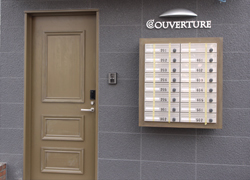 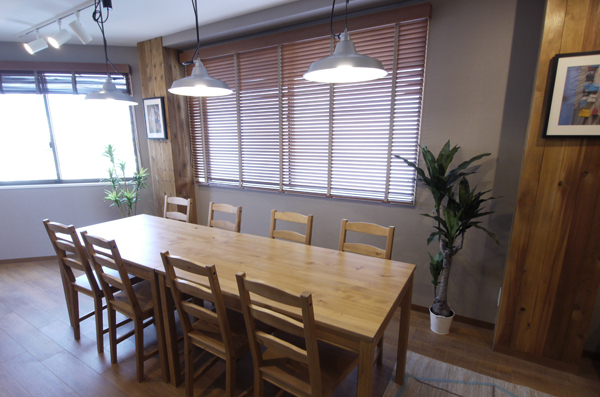 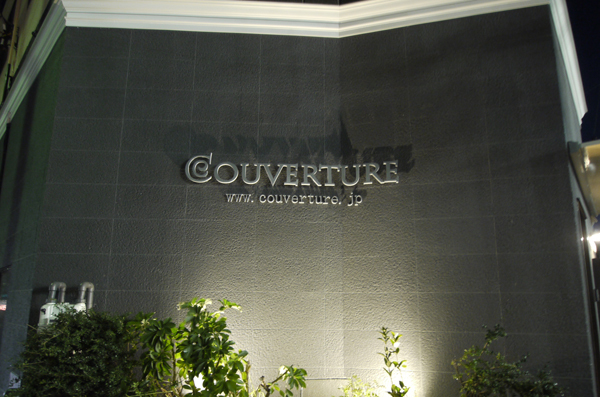 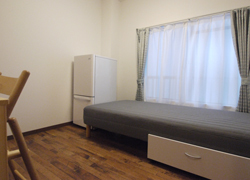 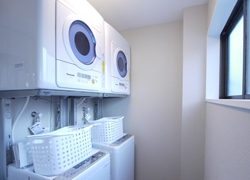 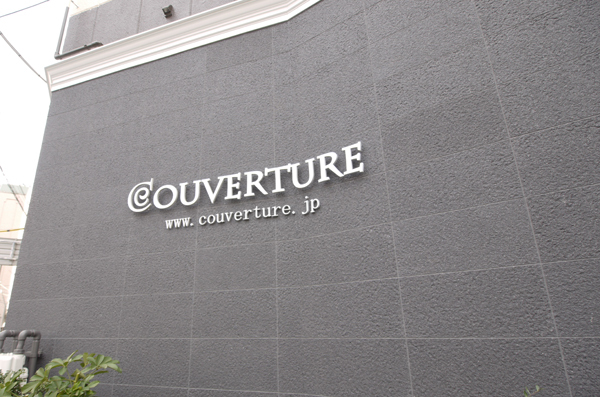 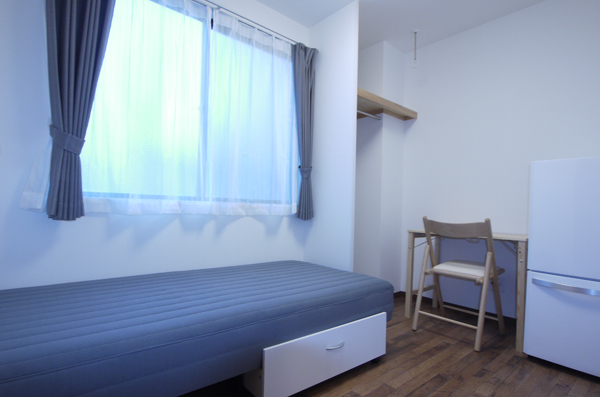 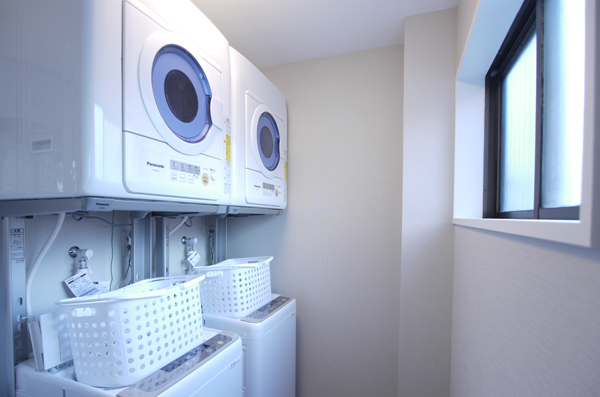 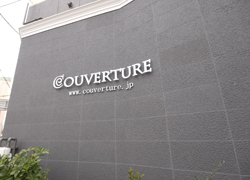 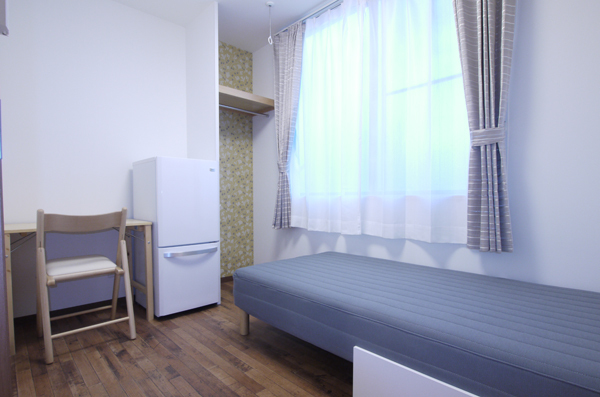 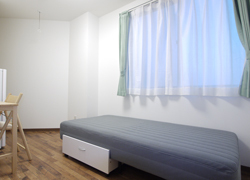 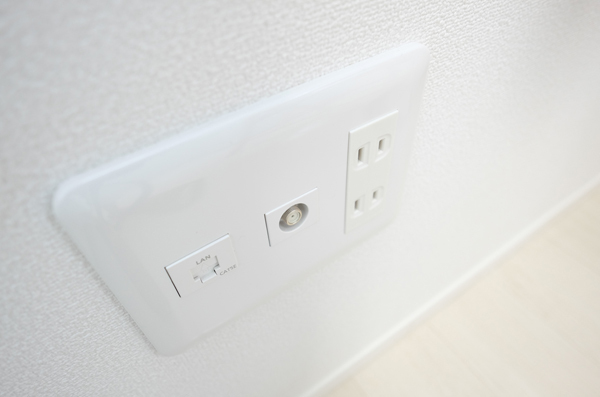 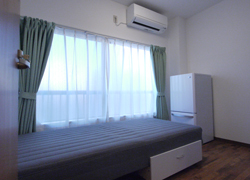 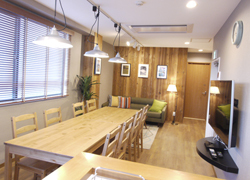 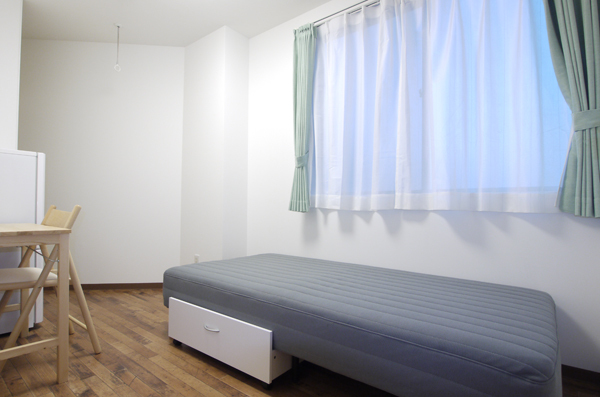 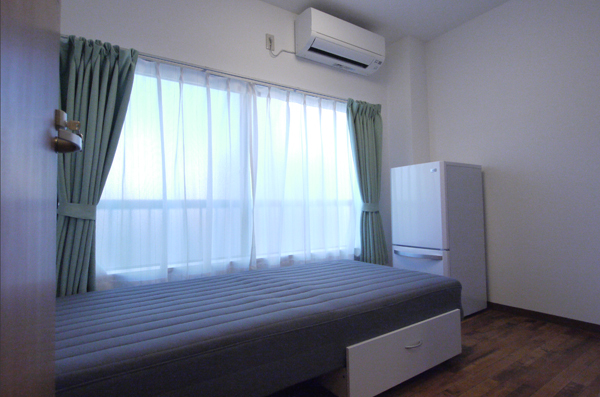 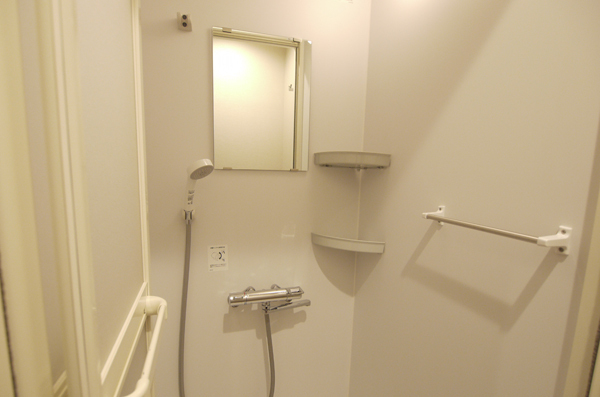 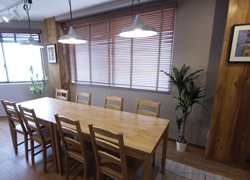 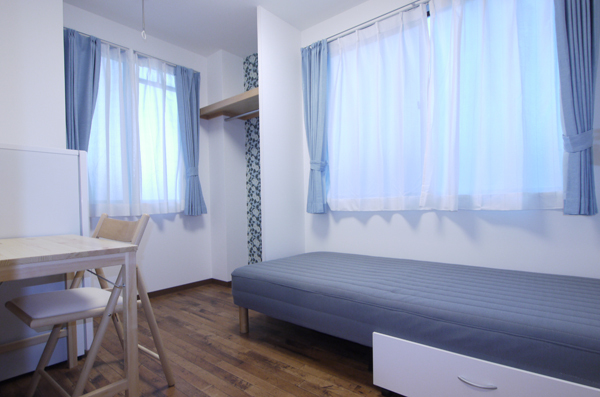 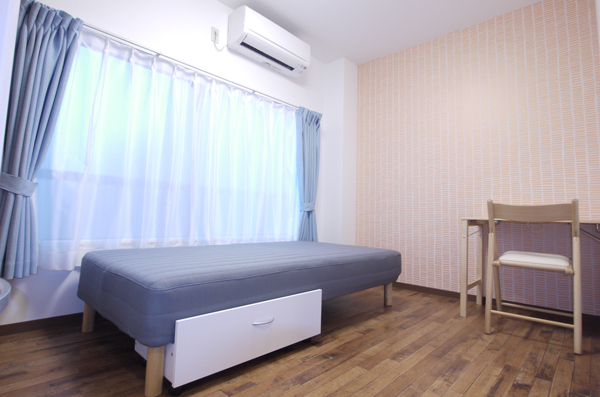 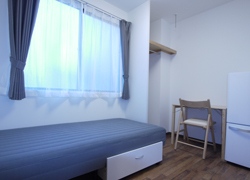 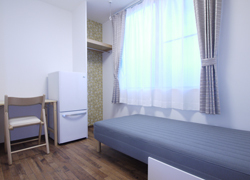 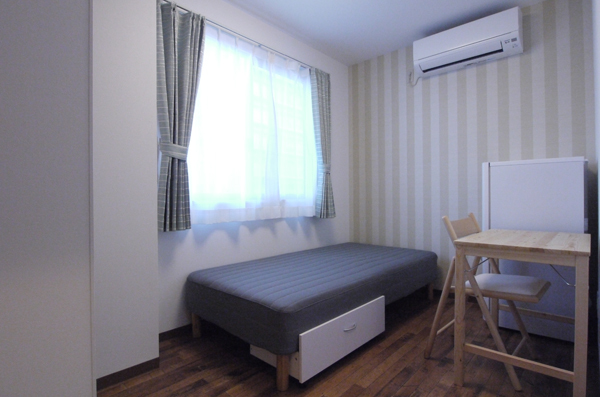 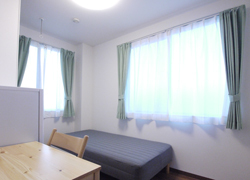 We opened Couverture Kinshicho consisting of 15 rooms for both men and women at a location that is convenient for commuting to Akihabara in 6 minutes,Tokyo in 8 minutes, Ueno in 10 minutes and Asakusa in 6 minutes. 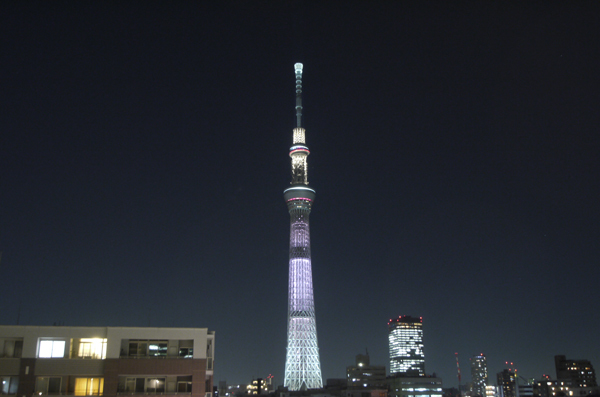 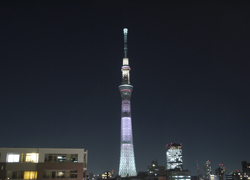 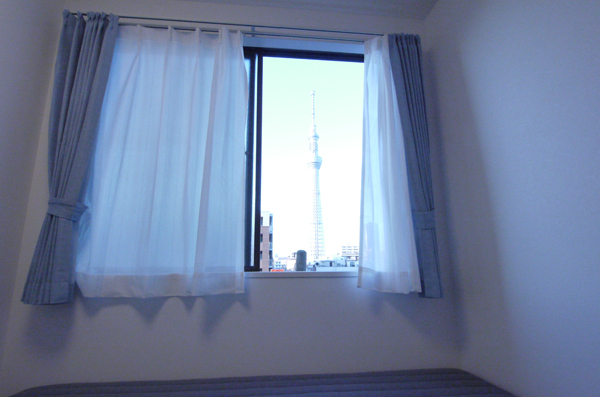 We are proud of the room where we can enjoy the nice night view including the Tokyo Sky Tree clearly in front of us. 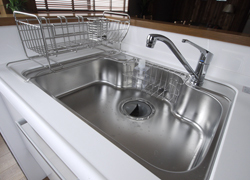 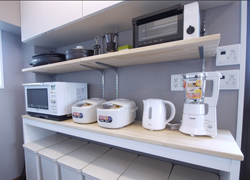 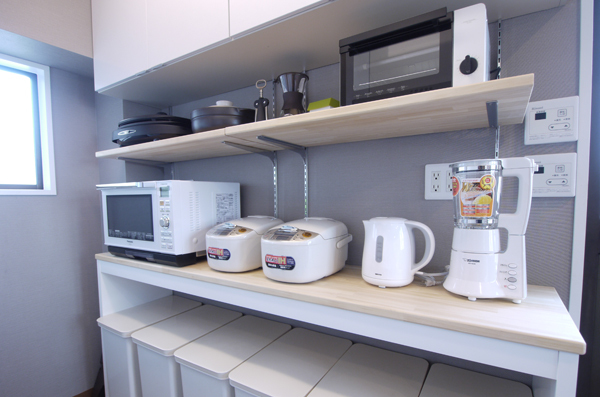 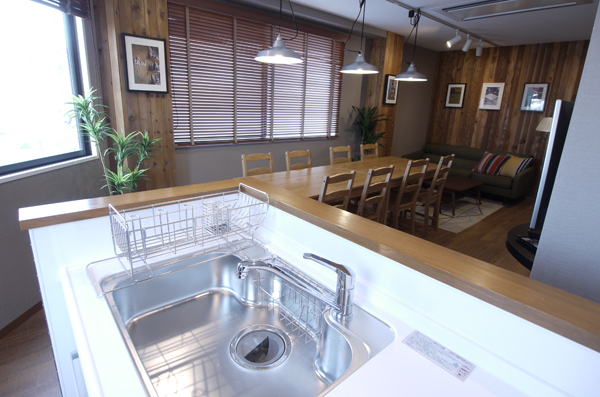 We prepared the convenient cooking appliances such as squeezer and mixer by which we can make the smoothie in the bright living kitchen where a wooden interior is fit quietly. 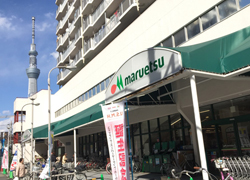 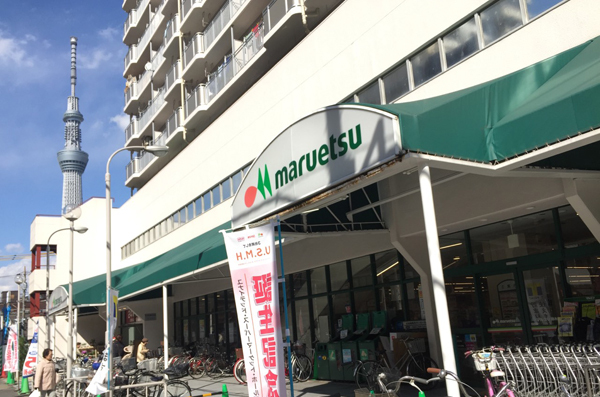 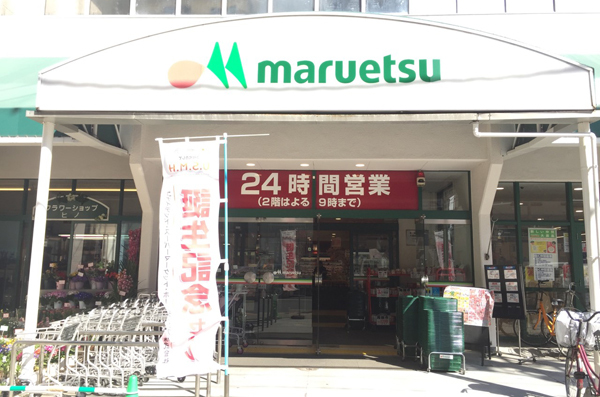 We have a supermarket that is opened for 24 hours in 30 seconds on foot, and can enjoy the beauty and health control. 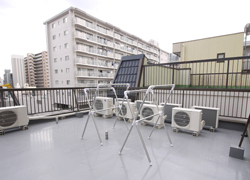 We have laundry drying pole on the roof top. 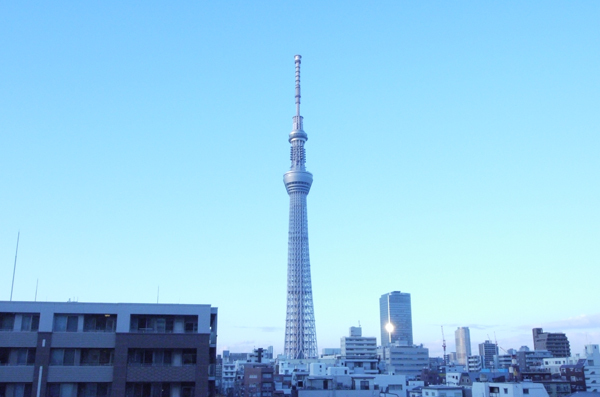 Transportation is also good and bus from the station will take you to both of Haneda air port and Tokyo disney resort. 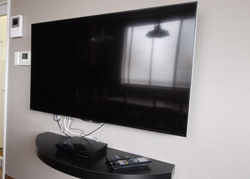 TV(20-inch,Blue-ray) rental is available for enhance your private time. 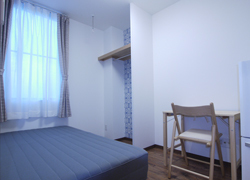 8 minutes by walk from Kinshicho station (JR・Soubu line). 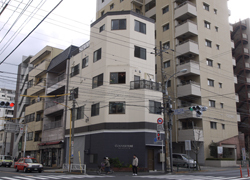 8 minites by walk from Kinshicho station (Tokyo metro Hanzomon line). 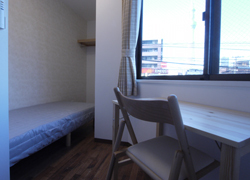 15 minutes by walk from Toukyou skytree station (Narita sky access keisei line). 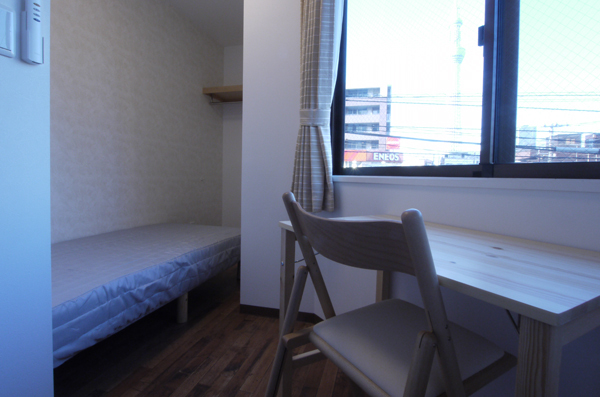 16 minutes by walk from Honjyo adsumabashi station (Toei asakusa line). 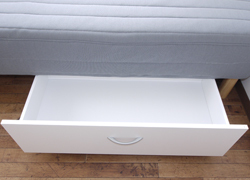 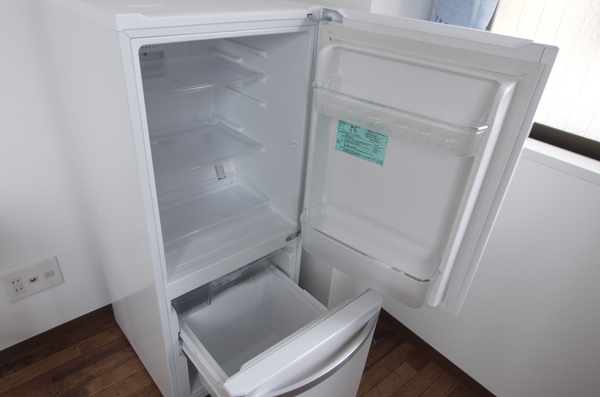 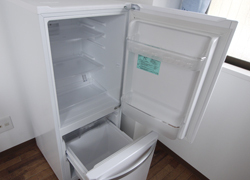 Two door refrigerator, air conditioner, bed, desk, chairs, opencloset, curtain, LAN outlet, Coaxial cable outlet for TV. 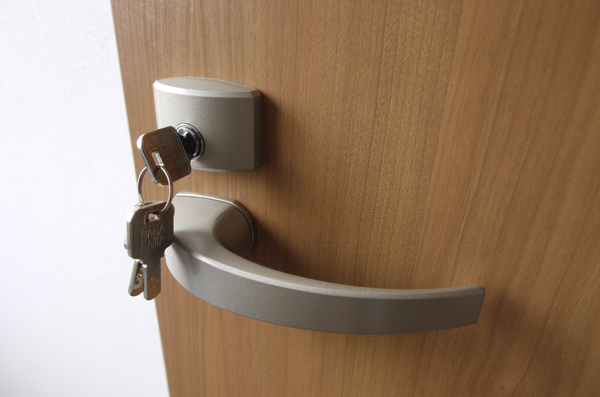 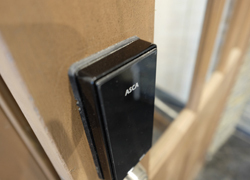 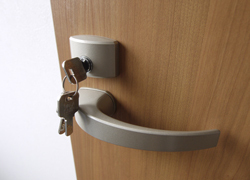 The front door lock is IC card key. 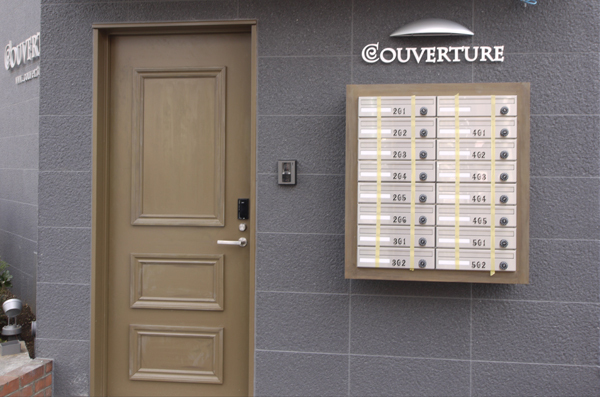 Private post box for each. 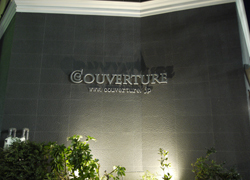 Lighted up sign during night. 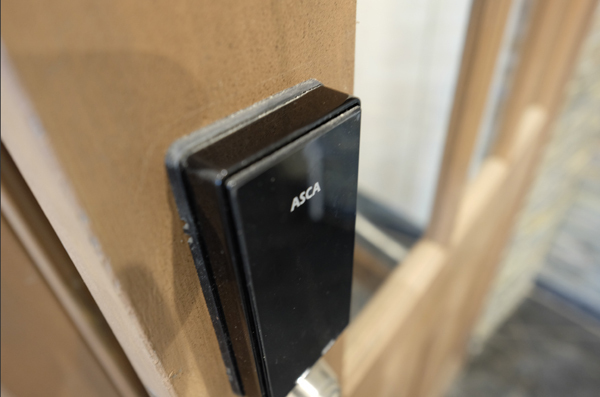 IC card key lock for entrance. 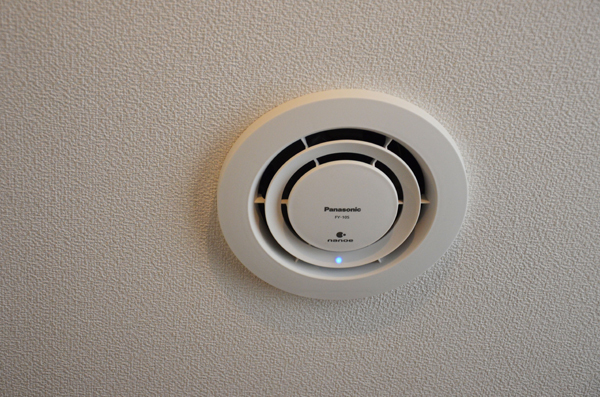 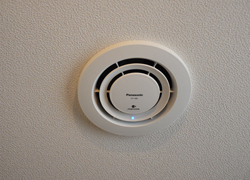 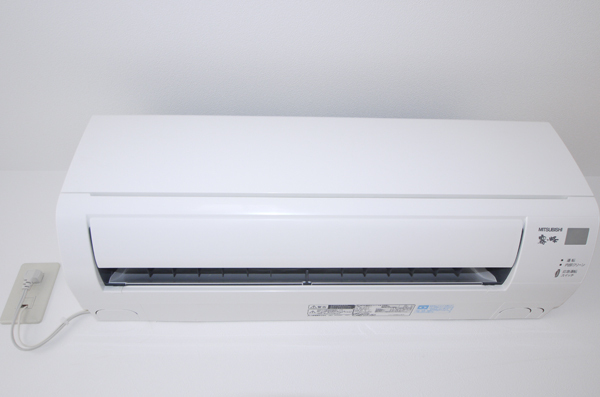 "Nano-e" makes the air refresh. 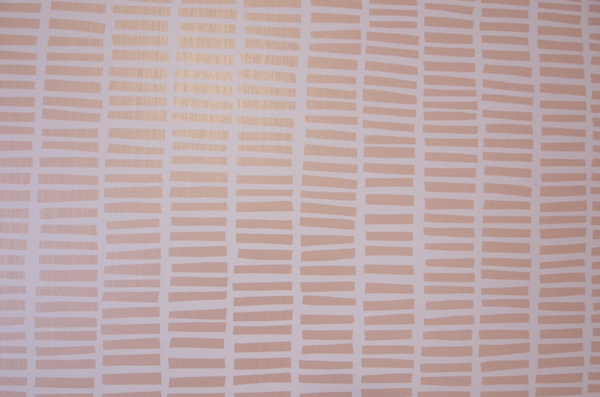 Wall paper of Room 201. 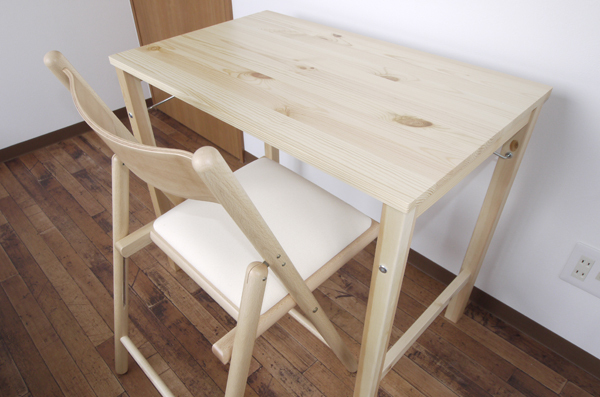 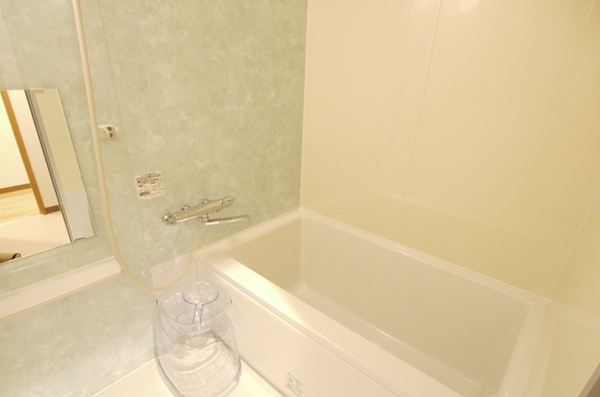 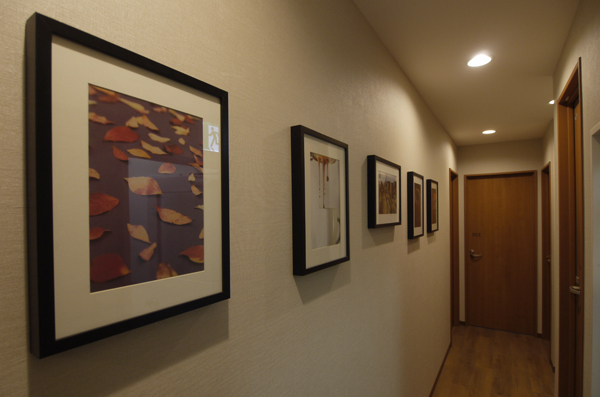 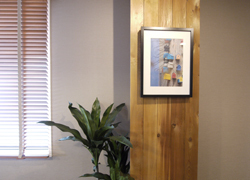 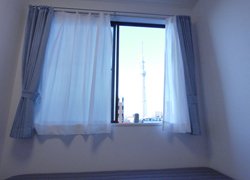 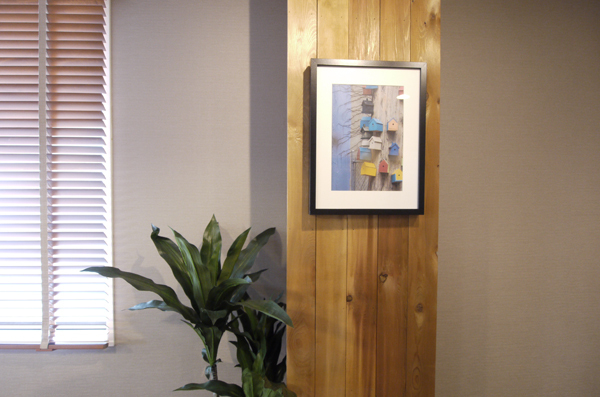 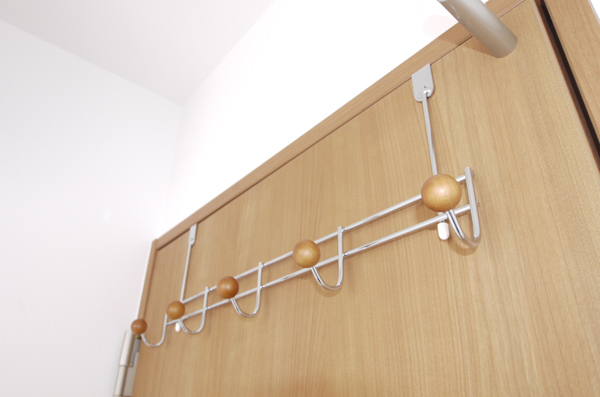 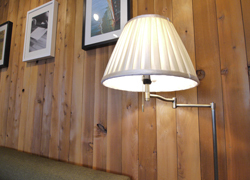 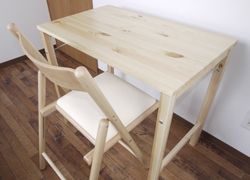 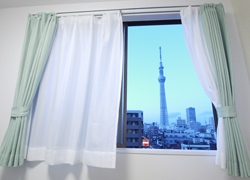 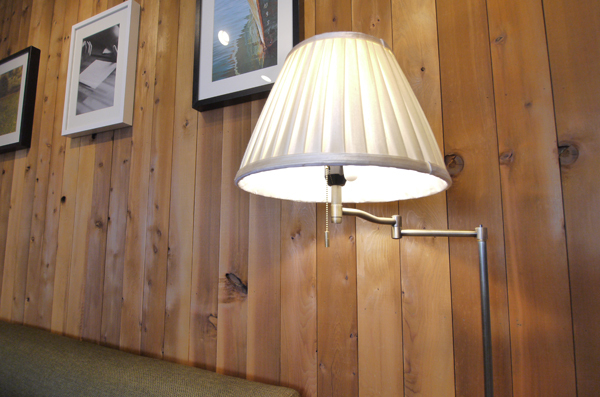 Skytree stand infront of your room♪　Room205 54,000 yen. 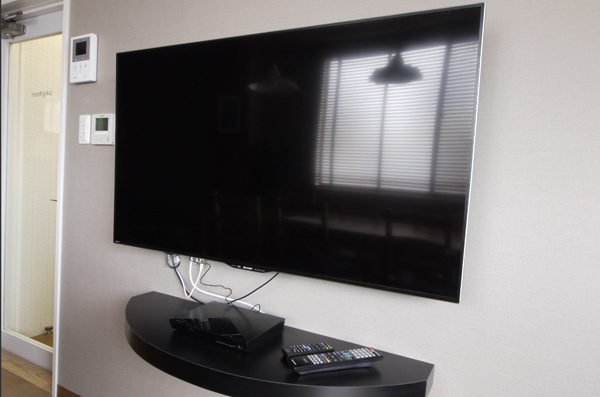 Internet and TV output for each rooms. 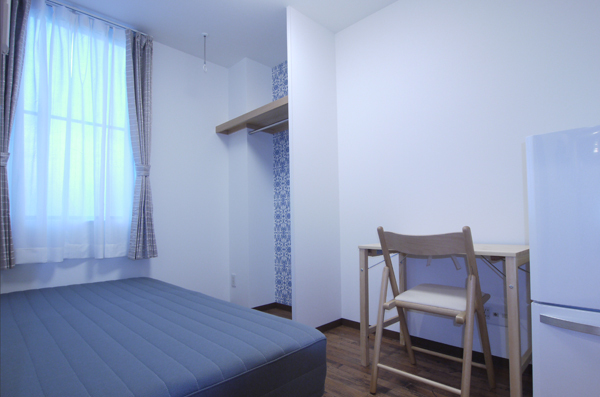 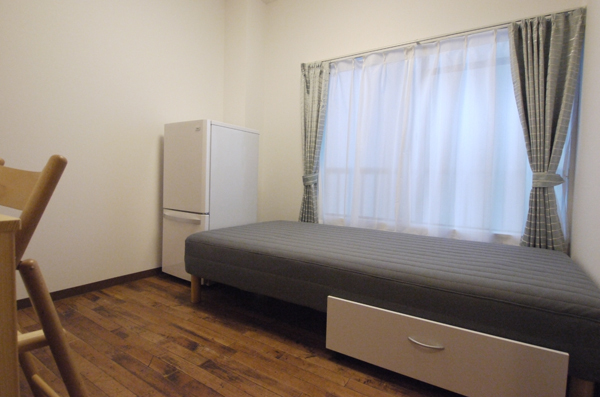 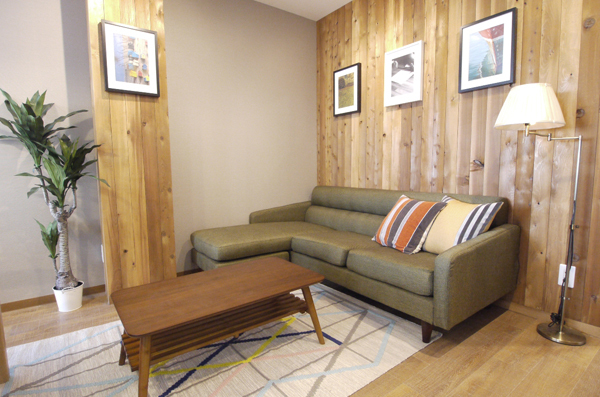 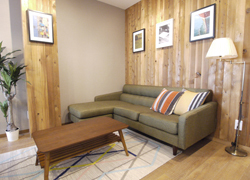 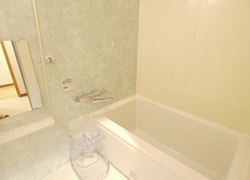 Room206　60,000 yen. 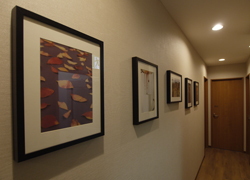 Great view of Skaytree. 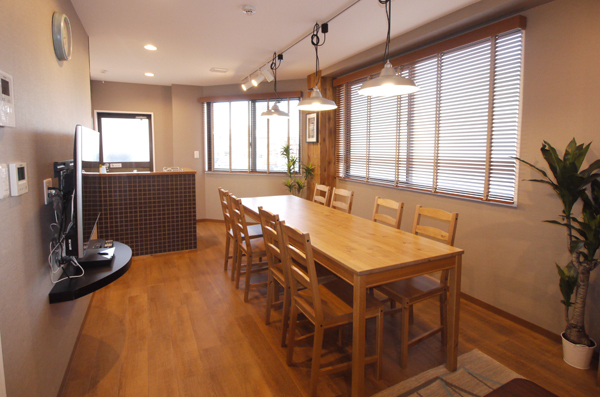 Dining sofa of 3rd floor. 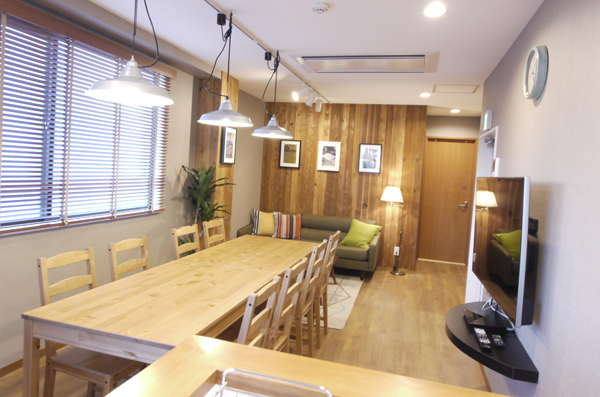 Have a cozy time on sofa. 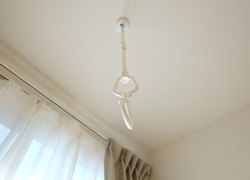 Little birdy brings you happiness! 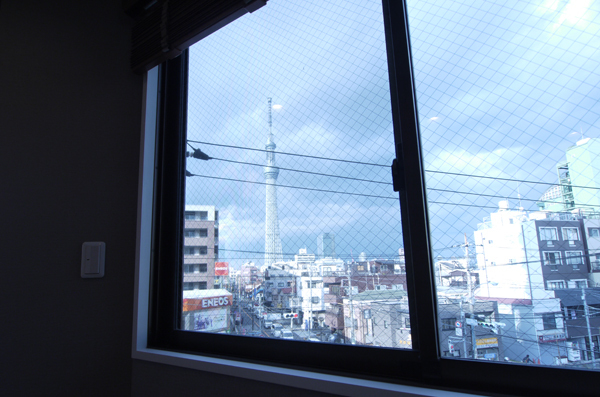 Skytree from window of your living space. 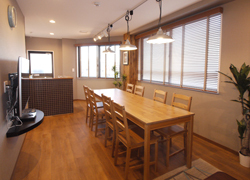 Enjoy cooking and chatting with your friends. 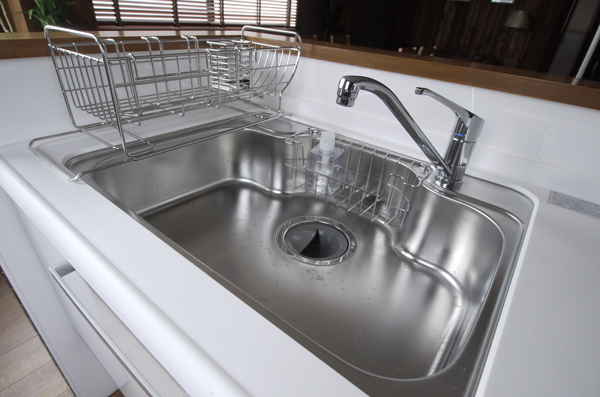 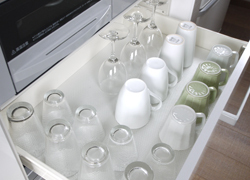 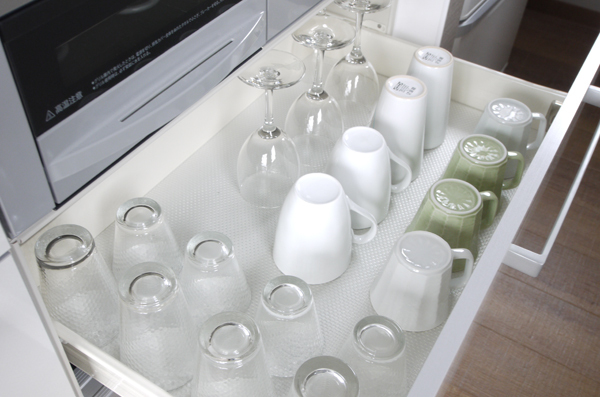 All you can use these houseware. 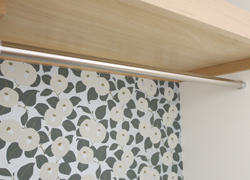 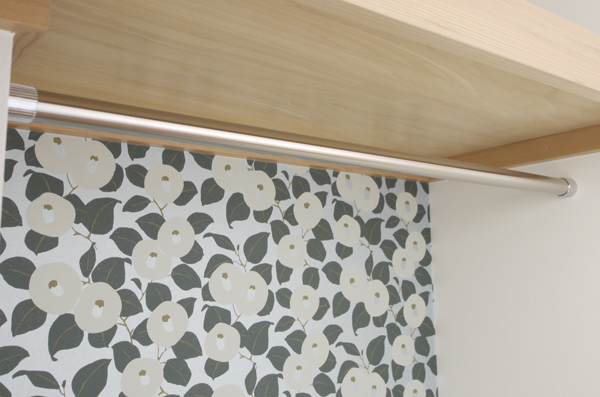 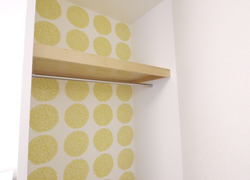 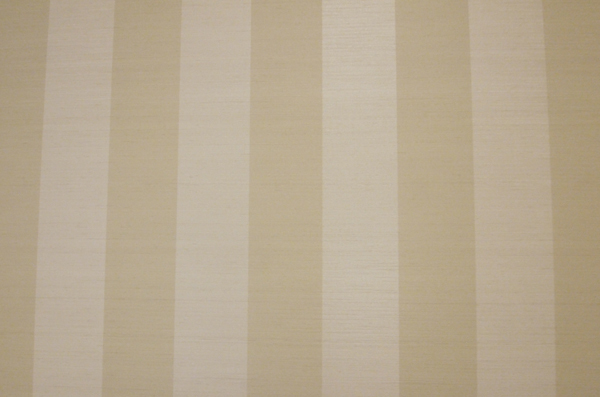 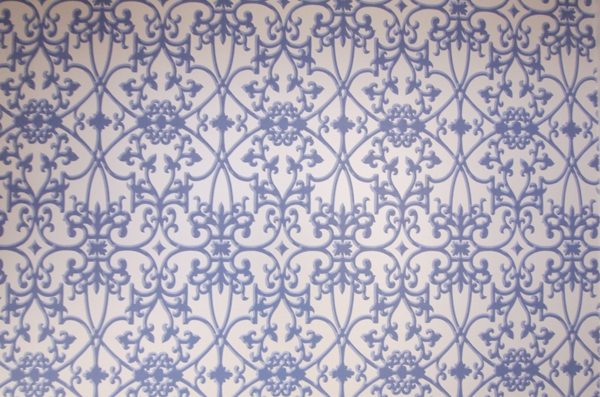 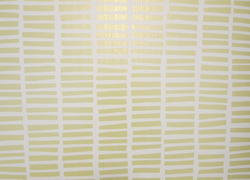 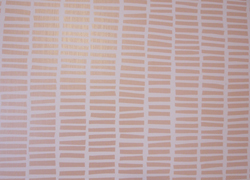 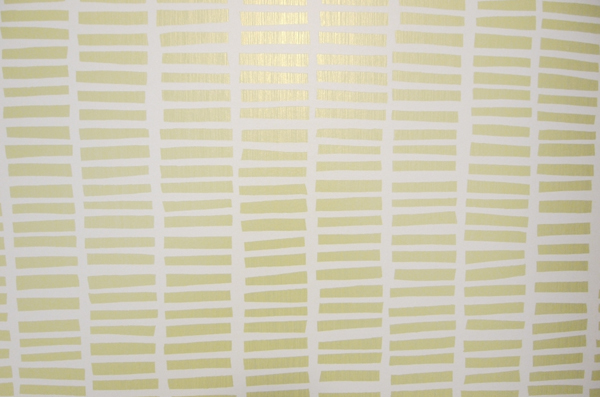 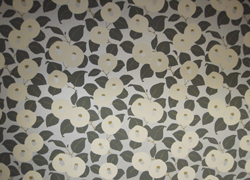 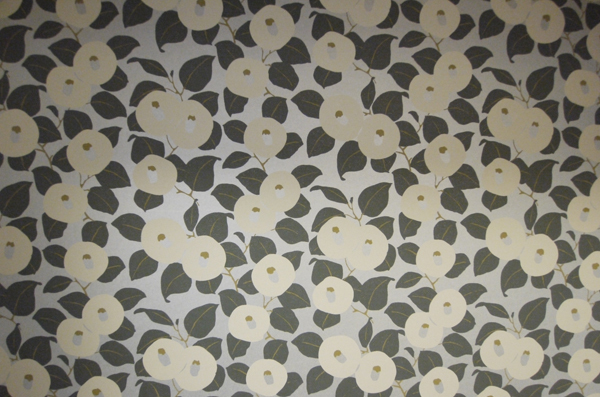 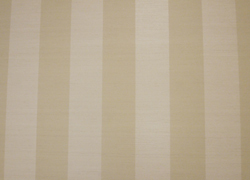 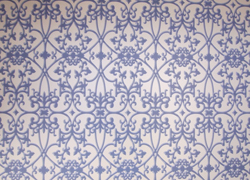 Room 301　Wall paper of closet. 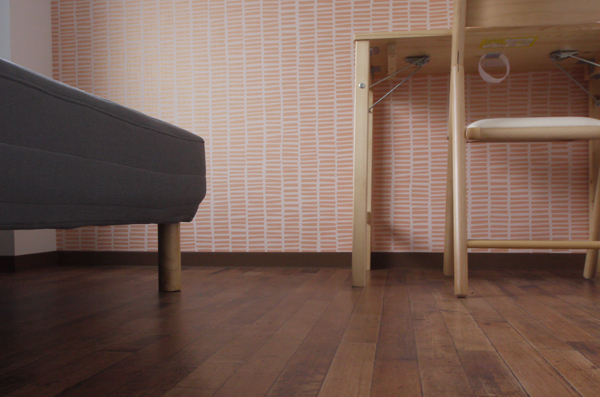 Wall paper of room 402. 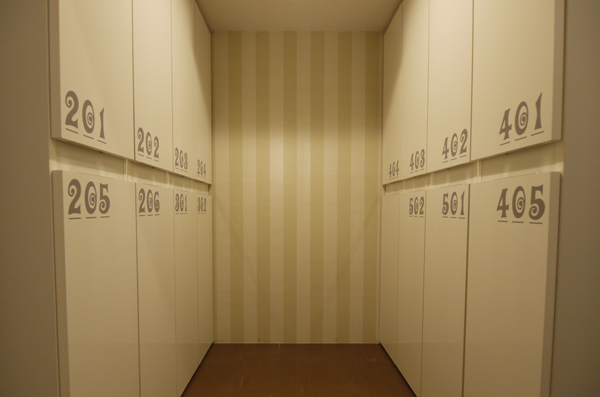 Room404　Wall paper of closet. 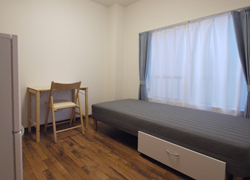 Each rooms contains foldable desk and chair. 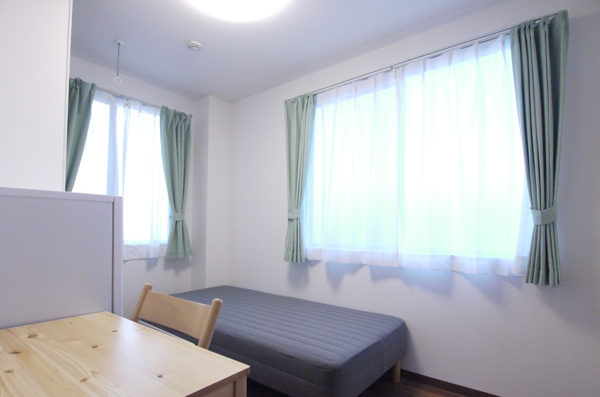 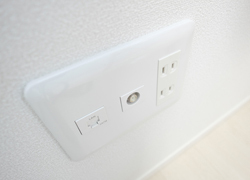 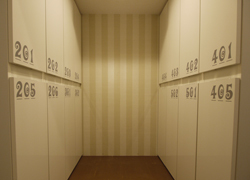 Room405　63,000 yen. 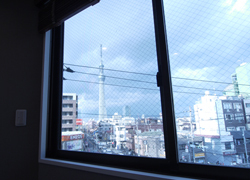 great sunlight from 2 windows. 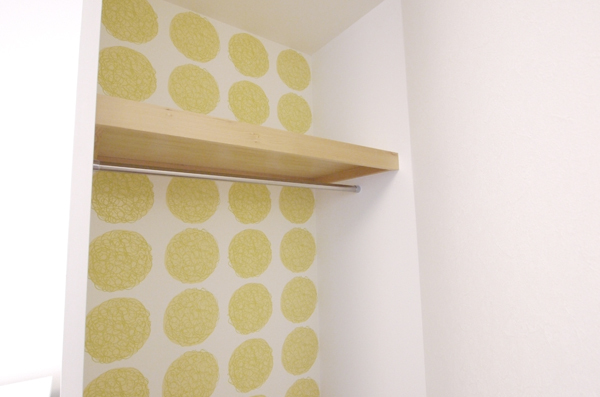 Closet you can hang even long coat. 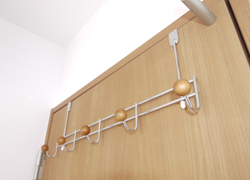 Door hunger is always usueful to hang your things. 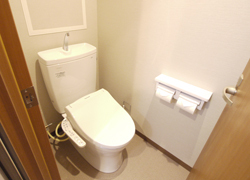 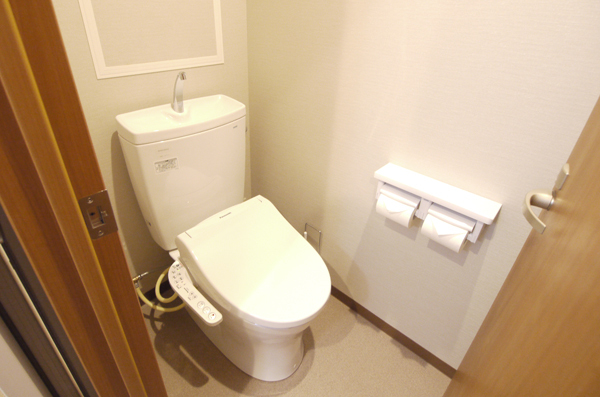 All toilet has bidet function. 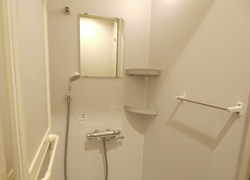 Shower room of 2F and 3F. 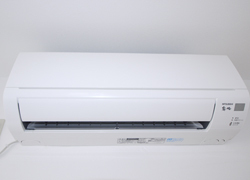 Air conditioning system for each room. 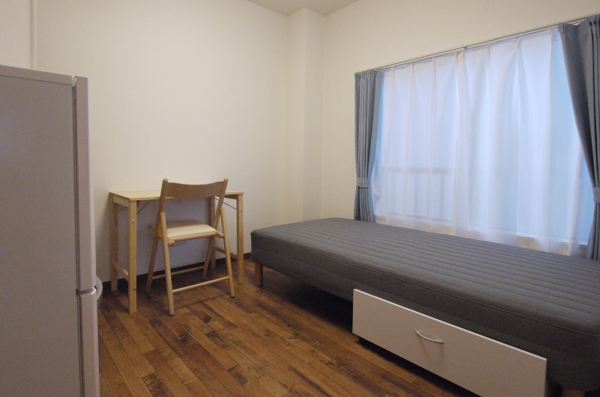 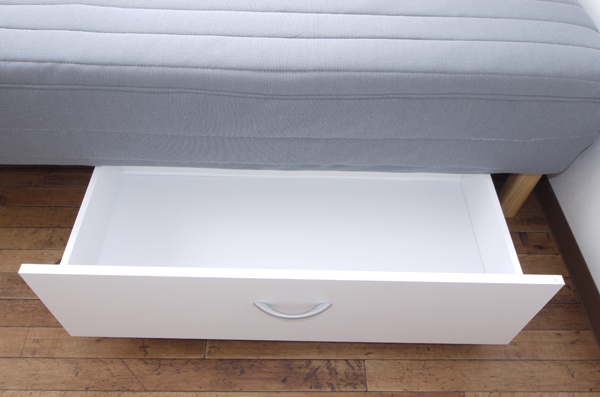 Room502　61,000 yen. 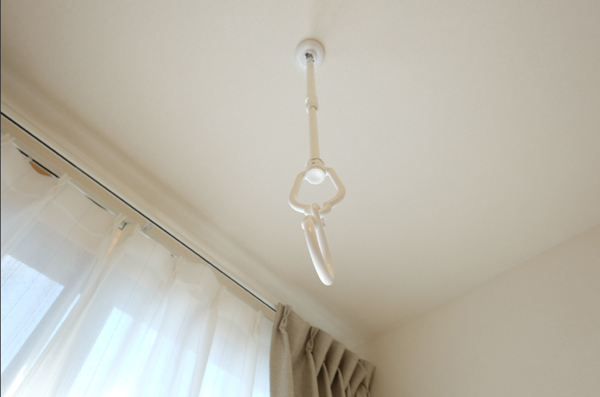 Great sunlight. 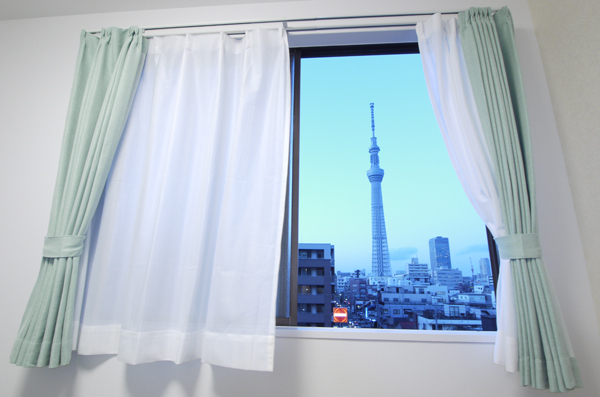 Room502　Skytree is all yours. 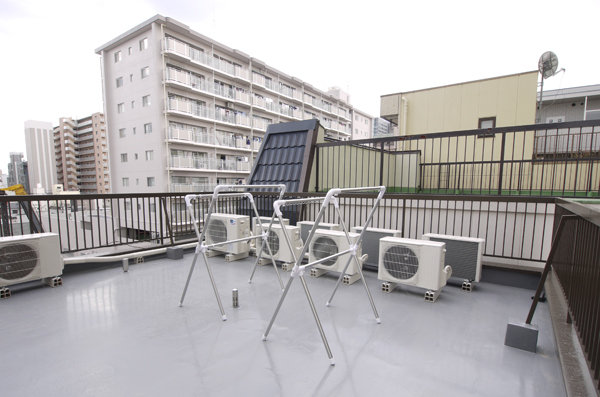 You can dry your thing on top of the roof. 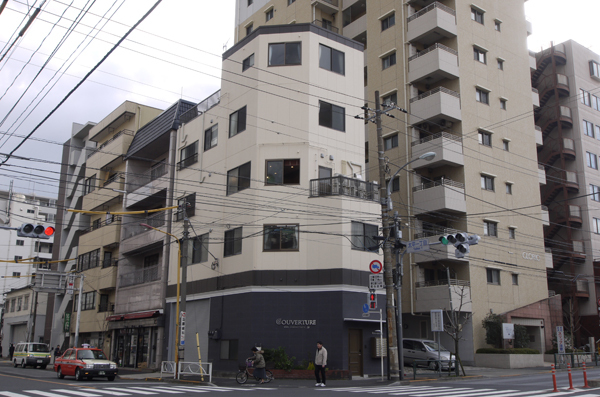 Outside view of the house. 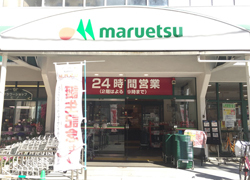 Supermarket is open for 24 hours.